Like just about everything that I work on, it is hard to describe what the Silicon Mirror is. 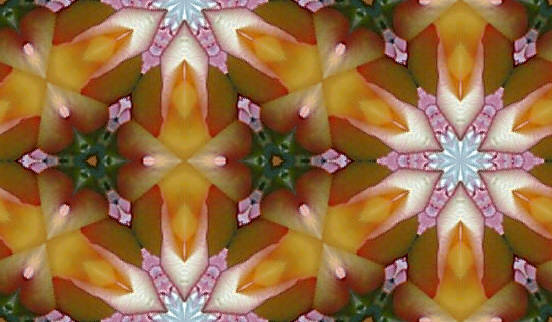 Basically, it is a gadget that operates like the mirrors inside a kaleidoscope. I created the background tile for this page using the Silicon Mirror in just a few seconds. The Silicon Kaleidoscope is a screen saver that uses the Silicon Mirror to create kaleidoscopic images that flow in real time. Libby Reid is an artist who used the Silicon Mirror to create tiles in the style of M. C. Escher. Go here to check out some of her tiles. Go here to check out some other tiles created with the Silicon Mirror.